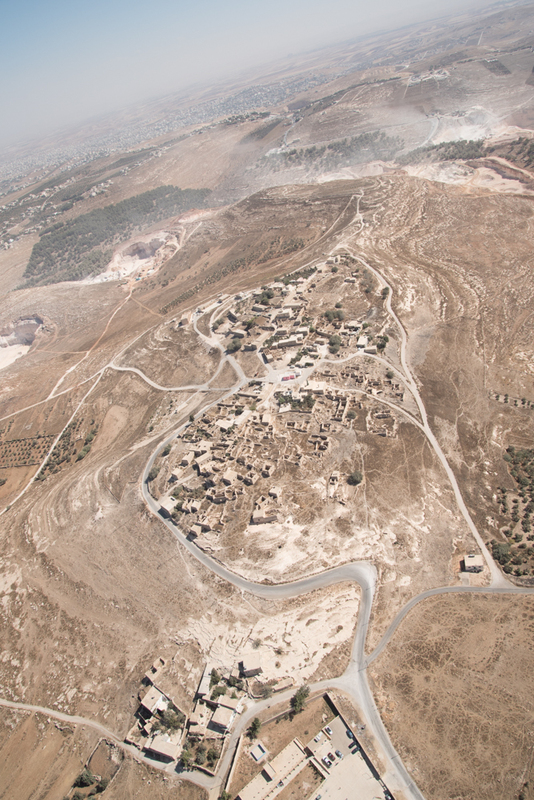 After a very busy and engaging four days taking part in the Protecting the Past Conference at The Jordan Museum, on the first of the month we finally got air borne. 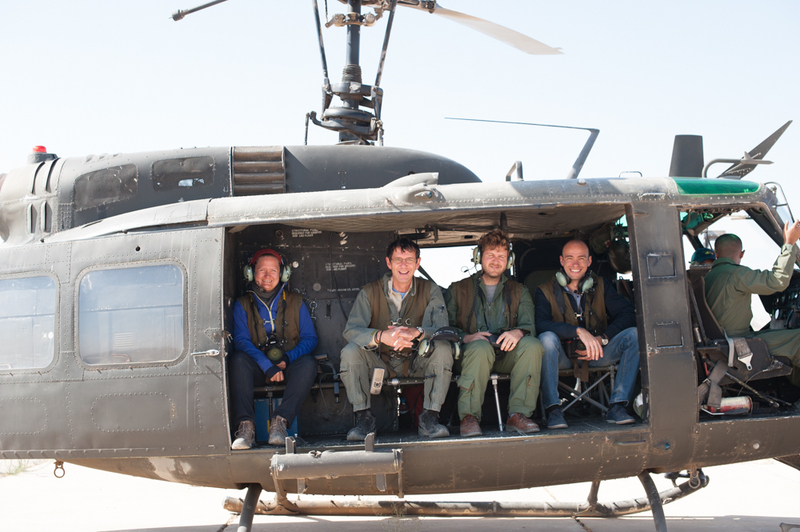 There were a few “firsts” on this flight – Andrea Zerbini’s first trip in the Huey helicopter over Jordan, which he survived well and it was very useful to have his knowledge of the sites in this region. After 18 years this was the first time that we discovered (with the useful intervention of the ground crew at Mafraq) that the so-called ‘donkey seat’, which normally faces forward, could be turned through 90 degrees and join the rest of us on the bench. 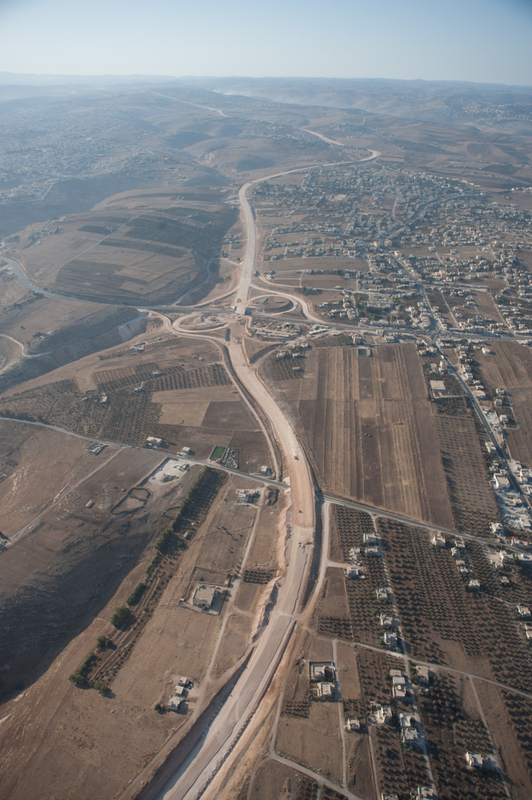 We’ll now refer to this as the “Mafraq-Zerbini’ formation. 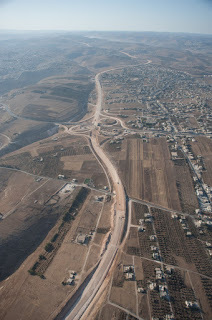 The Irbid Bypass in construction. 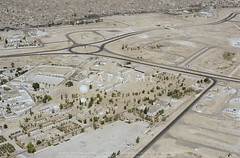 APAAME_20151001_MND-0126. 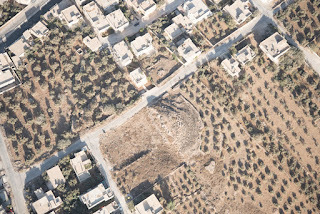 True to the theme of the Conference “Archaeology, conservation and tourism in the north of Jordan”, our first flight was to the north in the vicinity of Irbid. There is a large bypass being constructed around the west of the city, a concentration of limestone quarries to the south-west, as well as a few sites we had not seen for quite some time – so we thought we would have a look at how the archaeology of the region was faring. The remaining half of Tell esh-Sheqaq (JADIS:2221018, MEGA-J:11494). APAAME_20151001_REB-0210. 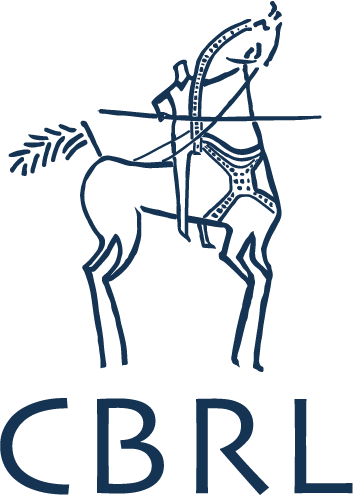 As much as we hate to be a stick in the mud, there is evidence that this region’s archaeology and heritage is under pressure. 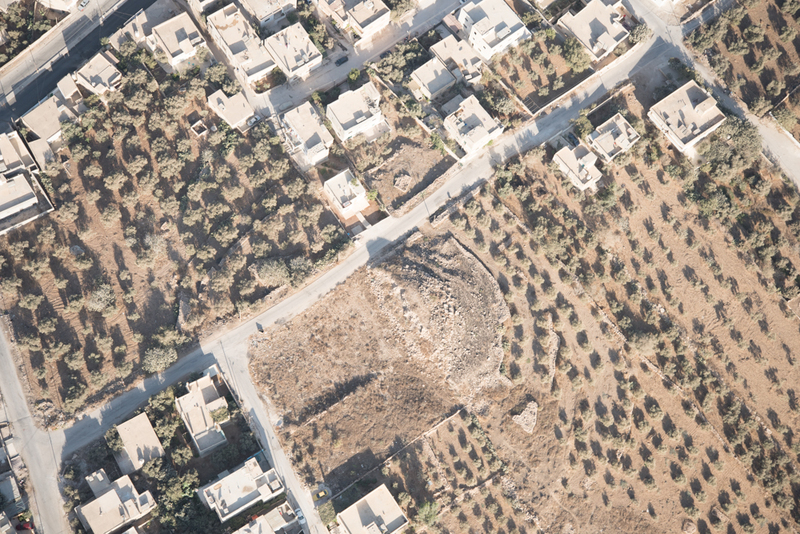 Many of the small tell sites to the west of Irbid showed evidence of damage from quarrying or the removal of earth for what we presume is agricultural purposes. There were numerous examples of cemeteries having been found and systematically looted. Some of this damage appears to have taken place well in the past, but some was indeed fresh. 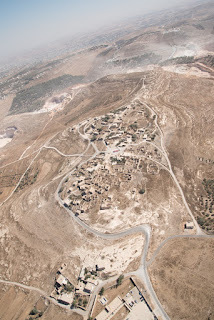 Our camera also captured exposed excavations, sites in the vicinity of, or being cut by, the new bypass, and many sites precariously close to the edges of limestone quarries. Samad (JADIS:2220050, MEGA-J:11471). Quarrying can be seen in the distance. APAAME_20151001_REB-0399. That said, there are so many and diverse sites in this region that there was no shortage of ones that appear not to have changed in the time we have been monitoring them, and they are testimony to the depth of time and culture in this region. It was a great start to this season’s flying and we are grateful to the Royal Jordanian Air Force for their professionalism, skill and hospitality.